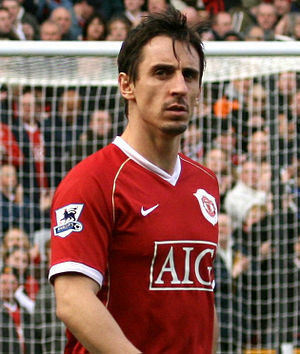 You are currently browsing the tag archive for the ‘Manchester United F.C.’ tag. I watched the Manchester United versus Bayern Leverkusen Champions League match a couple of weeks ago and marveled at the Red Devils’ Ryan Giggs, who was to turn 40 later that week, as he pulled the strings in midfield in United’s 5-0 win. I’m old enough to remember Giggs when he was still a teenager and his precocious talent burst onto the international football stage. He had marvellous skill and a remarkable burst of speed, but no-one could have imagined that he would still be playing for the same club and at such a high level more than 20 years and 950+ games later. As a sports fan, I’ve seen many brilliant talents, but it’s rare that they are able to turn that into such an extraordinary career. 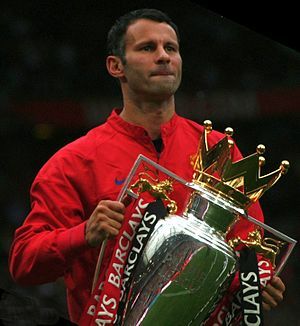 I believe that everyone is a 10 at something, but again it’s not often that people turn their phenomenal potential into phenomenal results, so what can we learn from an amazing footballer like Ryan Giggs? 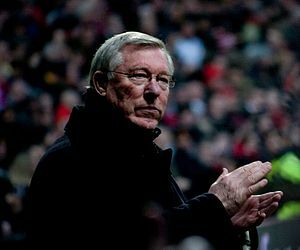 As a long-time Manchester United supporter, I was surprised and saddened this week when Sir Alex Ferguson suddenly announced his retirement from management at the tender age of 71. Whilst, I have supported Manchester United since before Sir Alex took over as manager 26 years ago, all of my memories of the great club have involved him at the helm. True his Glasgow origins, Sir Alex was never shy about giving his opinion and has given us some great quotes over the years on a wide range of subjects. Some are withering statements about his opponents that don’t quite match the encouraging, uplifting essence of this blog, but there are a few great insights that I would like to share with you today.